The most important protocol is described here and needs to be shared. Quite simply, if someone is in distress, sit with them and imagine putting a white light around them. In this case the doctor saw the whit light emerge and that is when he tackled the dangerous surgeries. Better yet he did it consistently with all his patients and was rewarded with a statistically impossible success rate. In some way he asked for assistance and got it. This is not the only case of applying the white light in my personal experience so i at least recognized it perfectly. However it is only the second time that i have seen it described and using the same language. That means it is not in common usage when it clearly should be. 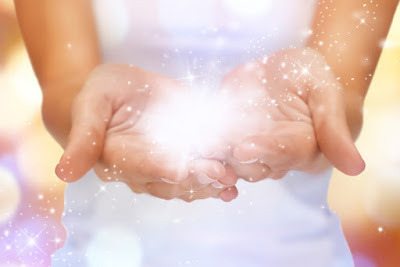 For all of us even without any perceived special powers, it is possible to meditate and to focus on the image of white light been wrapped around someone we are helping. Besides it really cannot hurt and it will calm all..
About five years ago, things that seemed like miracles — things my mind couldn’t explain — started happening around me. Patients were having “spontaneous” remissions. Synchronicities were unfolding around me as if I had been swept up in some current of magic. Spiritual superpowers were awakening within me, bringing with them gifts and powers I didn’t know I had access to. At first I was fascinated — in awe — and I played with these spiritual superpowers, which the yogis call “siddhis”. My entire view of reality was shattered. Things that should have been impossible were happening with regularity. At first, they were happening in waves of what I called “quickenings.” These quickenings lasted about two weeks and then a few months would pass before another quickening happened. Then, after a very mystical experience in January 2014, the mystical events became my new normal. I could no longer deny that reality was not as it seemed to my scientific, rational, materialist mind. For a while, I became quite enamored with these siddhis. My entire world view had just been smashed! I suppose it was natural to get a bit excited. But I also got scared. I didn’t trust myself. I wasn’t sure I had the wisdom or maturity to know how to practice these siddhis with strong spiritual ethics. How could I be sure that I wasn’t using these spiritual powers for personal gain or to manipulate others? How could I discern whether my ego was grabbing hold of these siddhis to puff itself up or get what it wanted? I magnetized other people with siddhis, and they all had different ideas about what to do with these magical gifts. Some wanted to use our siddhis to make it rain in California in the midst of the worst drought ever. Some wanted to employ their siddhis to improve their golf game, or use metaphysical marketing to sell a product. So I pulled back. I quit playing, and I started working with a spiritual counselor trained in transpersonal psychology. Many Buddhist traditions and yogic paths teach that we should avoid the siddhis altogether, that they are a natural part of the spiritual path but that they will distract you into a sort of spiritual cul de sac. Was I supposed to go that route and just ignore the powers I had accessed? My spiritual counselor, as someone with access to many siddhis himself, has a middle view on the siddhis. He believes that it’s appropriate to use them to practice what he calls “white magic” or “Bodhisattva magic.” Many use their siddhis for black magic — sorcery — or for what he calls “grey magic,” which is well-intentioned but in service to the ego. White magic can be used to do God’s work in the world, he believes. It can also be practiced to help wake up other people who are still stuck in a materialist, rational world view that doesn’t make room for miracles as the new normal. I have been working with him for two years in order to trust myself enough to know when it’s appropriate to practice these siddhis and when it’s not. My new book The Anatomy of a Calling tells the story of many of these “quickenings” that were happening a few years ago. (Watch the book trailer here). The book is filled with “magic stories,” so it feels like I’m coming out of the spiritual closet, and I’m a bit nervous about making all of this public. Yet I felt called to share my story publicly, because I now realize that most of the magic was not just The Universe showing off. It was all quite purposeful, guiding me oh-so-directly towards my calling, so I can fulfill what my soul is here on Earth to do. I genuinely believe you too will be guided in the same way, once you have the eyes to see and the ears to hear. I think it’s important to share magic stories. Almost everyone I meet has at least one story of something that they can’t explain, a mystery story that feels like a miracle or at least something that violates conventional scientific understanding. Yet most people keep these stories a secret for fear that others will think they’ve lost their marbles. When I started telling my magic stories on stages in front of 3,000 people, I realized that people had a choice. They could decide I was crazy — or lying — or telling the truth. And if I was telling the truth, then perhaps “reality” is different than they taught me in medical school. So, let’s tell our stories, merge with synchronicity and make ourselves vessels for one of God’s holy ideas in the world. Let’s practice white magic, in sacred service to what wants to be born on our planet this year, offering ourselves up to the Divine to allow ourselves to be conduits for miracles, not as a way to show off or get what our egos want, but to commit deeply to our callings and let magic help us bring into being one of God’s holy ideas. Whether it’s healing health care or saving the rainforest or stopping sexual trafficking of women and children, this year, it’s time for sacred activism. Many people are sensing that the troops are being rallied. Many of us have been doing deep inner work for many years in order to cleanse and purify us so that we can be aligned with white magic without it turning into sorcery or grey magic. Now is the time to come together with clear intentions and a pure heart, tuned to the frequency of miracles. I’ll save my own magic stories for another time (or you can read them in my book! )… but let me give you an example of another person’s magic story. One key feature of a white magic story is that magic is often used to help someone in need. In UC-Berkeley psychology professor Elizabeth Lloyd Mayer’s book Extraordinary Knowing, she tells the story of one of her clients, a neurosurgeon at her university who suffered from severe migraines. When she asked him when his migraines started, he said they began when he stopped teaching medical students and residents. Apparently, he loved teaching, but he felt he had to stop. Why did he stop teaching, she wanted to know? He hesitated. He didn’t want to tell her. But finally she coaxed it out of him. The students and residents all wanted to know why nobody ever died in his operating room. How could he perform such risky brain surgeries without a high death rate? He didn’t want to answer their question because he thought they would laugh him out of the hospital. Turns out that as soon as he has the thought that a patient needs surgery, he will sit at the bedside with the patient for as long as it takes to see a white light appear over the patient’s head. When it does, he knows it’s safe to operate. If the white light doesn’t appear, he won’t do surgery. He almost never lost a patient. Maybe the Universe can use us to do benevolent things in the world, if only we’re attuned to the frequency of miracles and willing to let something mysterious use us as Divine helpers in a world in need of more kindness, more love, more magic. We are all, every single one of us, heroes. We are all on what Joseph Campbell calls “a hero’s journey”; we are all on a mission to step into our true nature and fulfill the assignment our souls were sent to Earth to fulfill. Navigating the hero’s journey, Lissa Rankin MD argues, is one of the cornerstones of living a meaningful, authentic, healthy life.